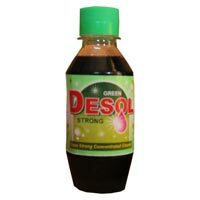 We are known as one of the chief Liquid Cleaners Manufacturers, Exporters, and Suppliers, based in India. The vast assortment of our Liquid Cleaners encompasses Floor Cleaner and Toilet Cleaner. These Liquid Cleaners are formulated in compliance with the set industry standards to make sure that these work very efficiently in every condition. The Floor Cleaner is a concentrated biodegradable floor cleaner. The Floor Cleaner can be used to clean and disinfect floors, tiles, bathroom etc. The clients can avail Floor Cleaner from us in desired quantities in customized forms. Our Floor Cleaner is offered at the most competitive prices. The company presents Toilet Cleaner with advanced shine booster technology which makes the thick liquid to coat evenly on the surface of the commode so that the advanced ingredients work harder to make your toilet extraordinary clean and sparkling. 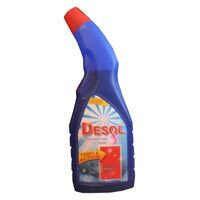 Desol Concentrated Toilet Cleaner works well in both western and Indian toilets.